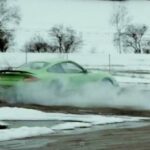 Porsche 918 – In The Wild! The video appears to have been shot at a private launch party in New York. Many are claiming this could be the production candidate. It has more stylish mirrors, rear reflectors and the absence of front fender vents. If nothing else, this is great video to whet your appetite for Porsche’s latest supercar. 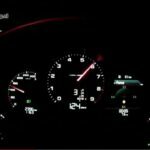 In this video, Hans-Jürgen Wöhler, Manager of the Boxster model line, describes some of the features and details of the coming Porsche Boxster. A great looking car that has developed nicely from it’s introduction! 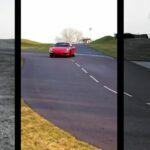 As to be expected from a Porsche produced video, this one contains some gorgeous footage of the Porsche 911 in action. There’s even some appearances from older 911s. Love the driving footage and some interesting commentary. And who doesn’t love this guy’s accent?! Some very cool cars show up at this rally in Europe. I’m not sure where. 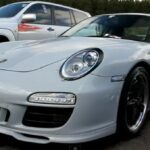 Both of the featured cars, the Porsche 911 Sport Edition and the Porsche 911 Speedster, are unbelievable cars. Glad to see their owners are out enjoying them! I must be a pretty simple man. I sat mesmerized by this video all the way thru. Sure it’s only 90 seconds long, but there’s not a lot of action. Still didn’t keep me from watching it a couple of times. These guys make driving look so effortless. This was shot at the Porsche Rennsport Reunion IV last month. Great footage and sounds from these cars. 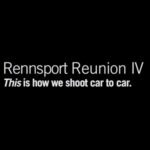 This video shows the setup of 40 Porsches that appeared in the Porsche Rennsport Reunion IV picture. 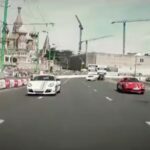 The video is worth watching just to see some of the closeup footage of the cars. 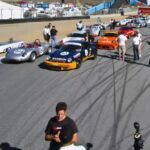 Looks like it was a heck of a task lining up the 40 cars just right to get the desired picture.